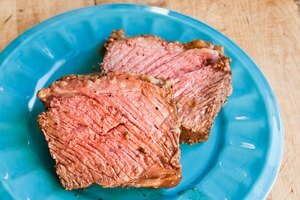 A top round beef roast is a practical cut with great marbling, full flavor, and very little waste. If you purchase a boneless top round roast, you can be sure of getting the most for your dollar. 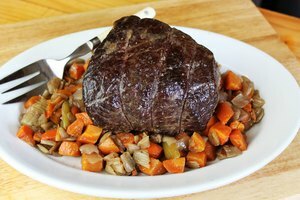 The top round roast is a great choice for a weekend meal, and is versatile enough to provide many options for leftovers. With proper preparation and roasting, a top round roast can be tender, juicy, and loaded with flavor. Remove your roast from the refrigerator approximately 1 or 1 1/2 hours before you roast it. This will allow the meat to come to room temperature so that your cooking time is truly cooking time, with no wasted time warming the meat first. Preheat your oven to 325 degrees. Season your roast to your preferences and taste. 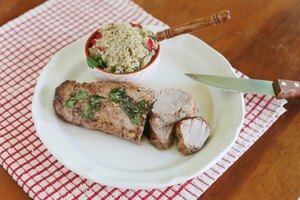 A rub is a great alternative for this particular roast. Any liquid-based seasoning will result in braising the meat instead of roasting it. 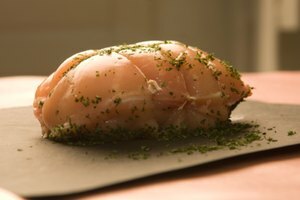 Do not salt the meat prior to roasting as any added salt will draw the juice out of the meat during cooking, resulting in a dry roast. 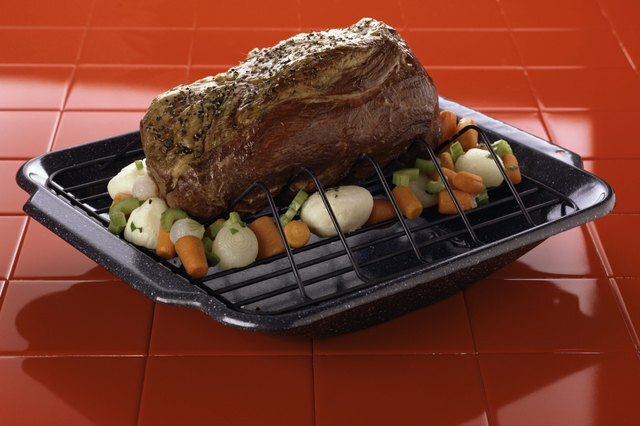 Move your roast to a wire rack in a shallow pan. The rack will ensure that the meat does not braise in the juices from cooking and allow the heat to be distributed as evenly as possible during roasting. Place your roast, uncovered, in a preheated oven. For best results, cook the roast to medium rare. For an eight-pound roast, this will take approximately three hours. Remove the roast from the oven when your meat thermometer reads 135 degrees. Insert the thermometer into the thickest part of the roast, with the tip of the thermometer as close to the center as possible to get an accurate reading. Cover the roast with aluminum foil and allow it to rest for 20 minutes to complete the cooking process. 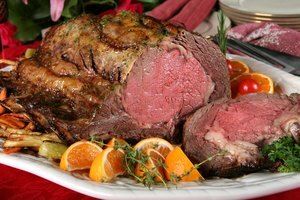 The roast should reach 145 degrees before slicing. The resting process also allows the internal juices to be redistributed throughout the roast, giving you a tender and juicy roast.